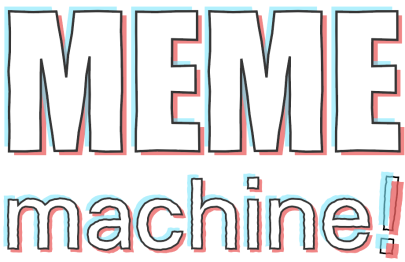 Meme Machine! is a meme generation voting game that gives players a topic, asks them to make a meme about that topic, and then vote on which player’s meme best describes the revealed description. All Players receive a topic to make a meme about. This could be anything including an idea, a person, an event, etc. On their own devices, players then select one meme background out of the provided eight choices. After selecting a background, players type in their own captions in the provided text boxes. Players can preview their meme live before submitting. Once all players submit, all memes are displayed on the main screen. On their own screens, players decide which meme they think best matches that round’s displayed “description”. There is only one description per round. These include descriptions such as “most conservative”, “most inspiring”, etc. After all players vote for their selected meme, the main screen will reveal who voted for which meme and who made each meme. The author of the meme receives 25 points for every vote on their meme. Each game lasts three rounds, and the player with the most points at the end of the game wins! How many memes will you make? Memes are broadly defined as culturally transmitted information, ideas, and beliefs that spread across a community. An Internet meme is a concept or idea that spreads "virally" on the internet and could be anything from an image to an email or video file; however, the most common meme is an image of a person or animal with a funny or witty caption. They can be humorous, ironic, subversive, or serious. Memes allow people to share “in the moment dialog” about an issue that’s current by re-appropriating and remixing content to make it their own. Memes provide an engaging way for young people participate in online expression. They help keep us current to what people are saying and are easy and entertaining ways to communicate information. Memes also follow a popular internet speech format that incorporates sparse text while leaning heavily on visual connections. By creating and critiquing memes, students can improve their creativity and expression. Create memes about social, cultural, and political issues. Create commentary and understand how spreadable content through culture/comedic forms can shape media discourse. Understand how to read the rhetorical language of memes. Increase students ability to participate in conversations. Reflect on the role that memes play in expression, sharing, and participation today. Students will have the chance to explore the motivations of the people who make memes, what makes them go viral, and how they become re-produced. Students will evaluate the way popular meme templates are perceived in the larger online environment and the narratives they carry with them. Students will have the chance to create their own memes and in the process learn how their own bias and ideas are perceived by others. Students will reflect on the way’s visual and textual content can be combined to evoke different emotions in viewers and contexts. What was the purpose of this meme and why did it convey this description? Think about intention, design, and structure of the meme. Is either the visual or text of this meme offensive, inappropriate, or disturbing? _Most media messages are created for a reason, yet sometimes people make memes to simply “troll” others. _ How might people understand this meme differently? People experience the same media message differently. Have I communicated my purpose effectively using this meme? What communities or ideas is the meme contributing to?